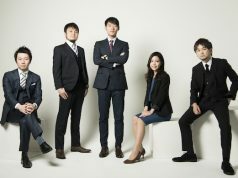 Until recently, space industry around the world has been propelled by government but private companies’ roles are gaining momentum in a movement called “New Space.” On May 10, SPACETIDE Association of Japan held its third event underscoring the role of private sector in space-related activities at Nihombashi Mitsui Hall, in central Tokyo. 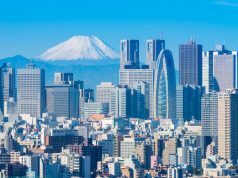 Supported by the Japanese government and in cooperation with the realtor Mitsui Fudosan and newspaper publisher Asahi Shimbun, it was sponsored (monetarily, for the first time) by ANA, JAL, SKY Perfect JSAT, Keio University System Design and Management Faculty and TBS plus Asahi Shimbun. 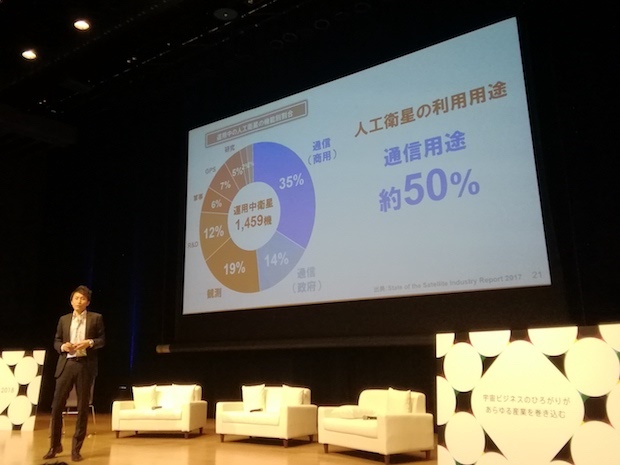 The morning events comprised a panel overview at space business through 2030 followed by a presentation from OneWeb (SoftBank-backed startup) by Hidebumi Kitahara, then followed by a panel session with Infostellar and Axelspace representing Japanese space startups being joined by AWS and Orbital Insight plus Japanese government program outlined by a Keio professor. 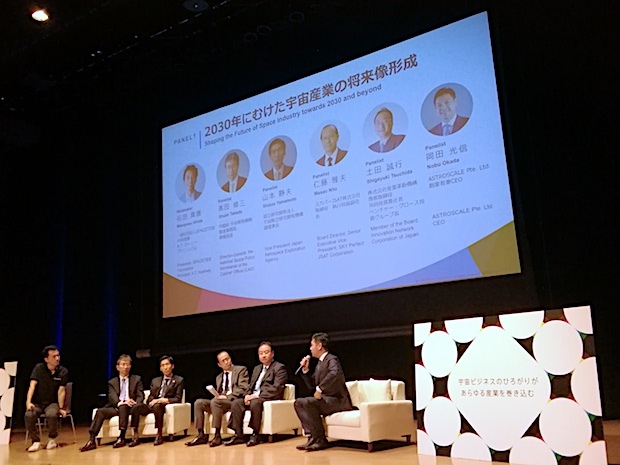 The latter panel had space Big Data as the theme. 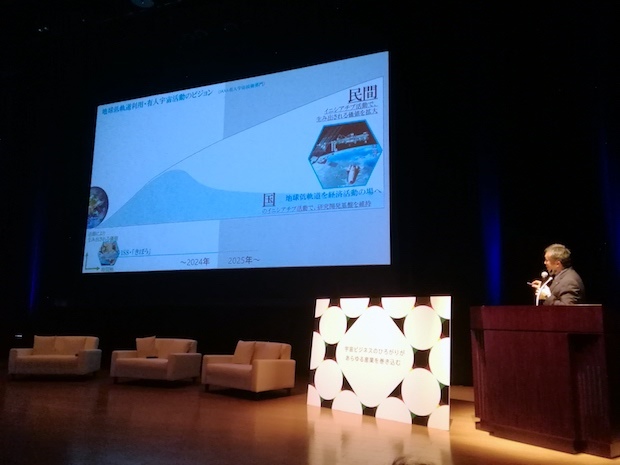 The afternoon saw presentations by Space Frontier Foundation chief Jeff Feige and former astronaut Koichi Wakata, representing JAXA (Japan Aerospace Exploration Agency), as well as a panel discussion on a new era of spaceflight. 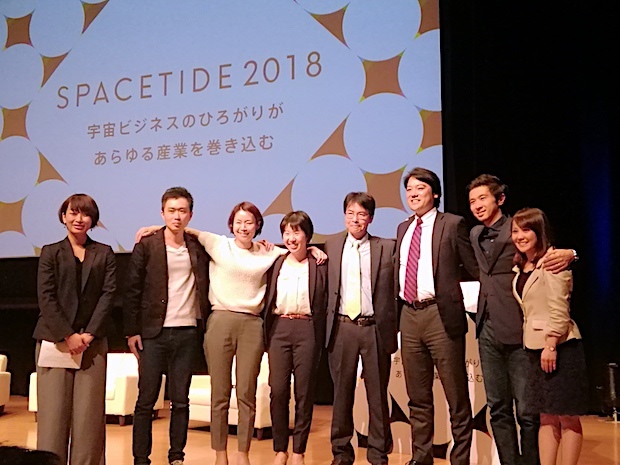 Another panel on New Space Economy, with ispace CEO Takeshi Hakamada of Hakuto X Prize challenge fame, took place. 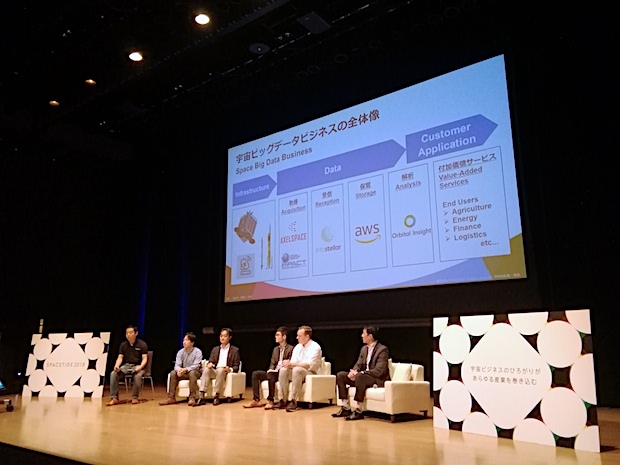 The day ended with a panel on space as growth driver for other industries, after a Startup Pitch.